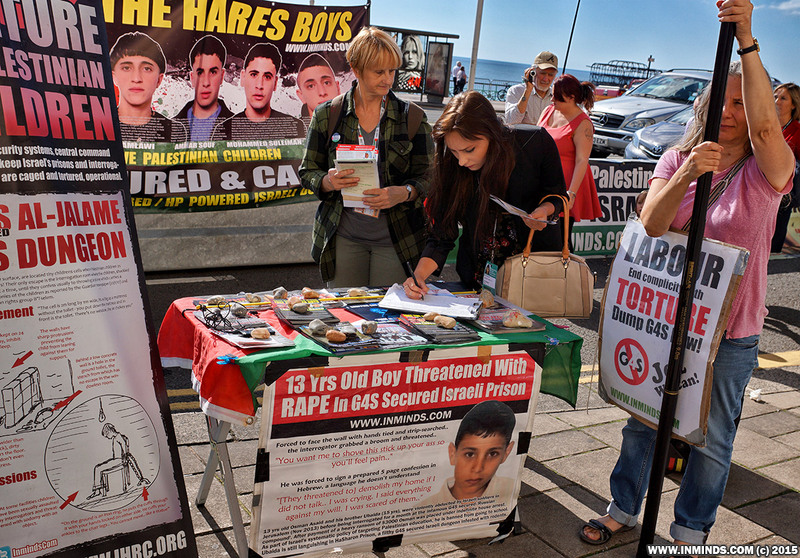 Protest organised by Inminds outside the Labour Party Conference in Brighton at lunch time on 27th September 2015 - the opening day of the conference - demanded the Labour Party end its contracts with the British security company G4S which is complicit in Israel's torture of Palestinian child prisoners. 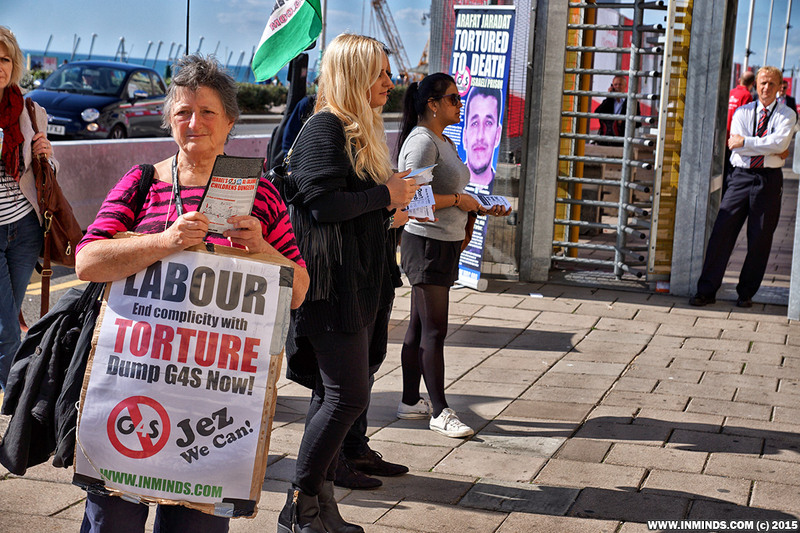 Activists demanded in particular that Labour stop using G4S to provide the security for the Labour conference every year and for Labour councils to stop investing tens of millions of pounds in G4S via their pension funds. 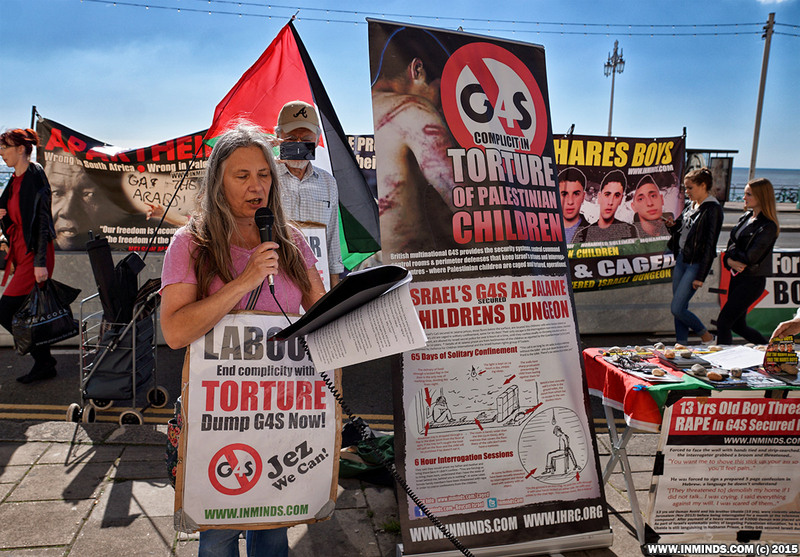 Since 2007 G4S has been contracted by the Israeli prison service to secure many of its prisons and interrogation centres where Palestinian political prisoners including women and children and caged and tortured. 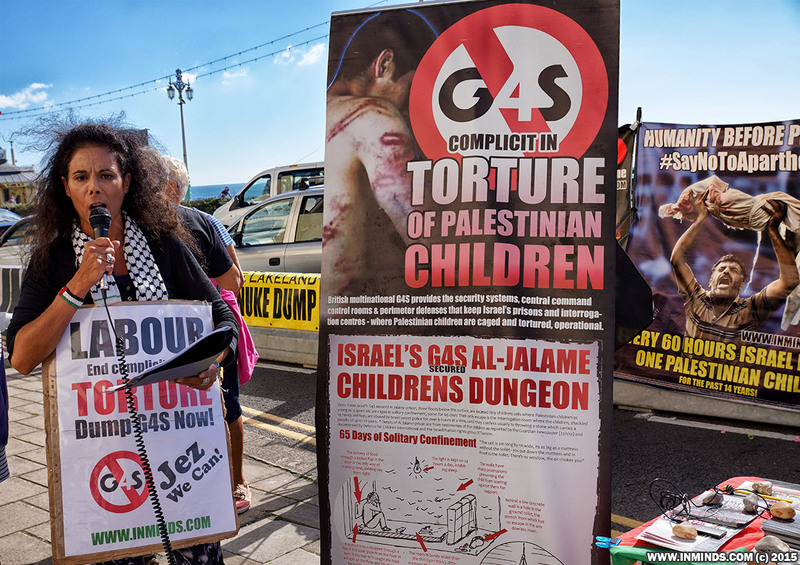 61% of all Palestinian political prisoners are caged in G4S secured prisons, this includes 98% of all administrative detainees (those held indefinitely without charge or trial). 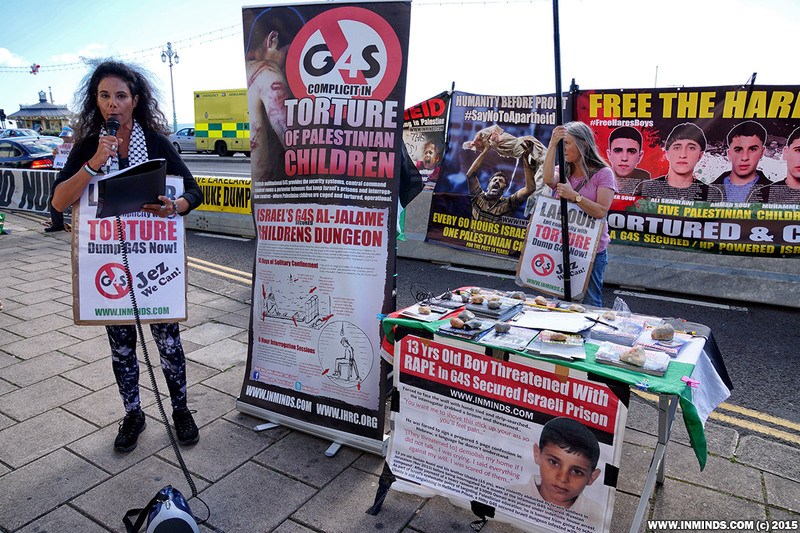 All women prisoners and all the children are also caged and tortured in G4S secured Israeli prisons. 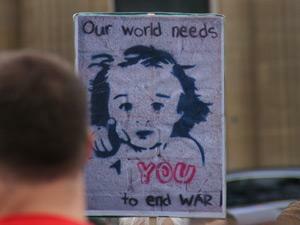 Photos and video of the protest including full speeches are included below. 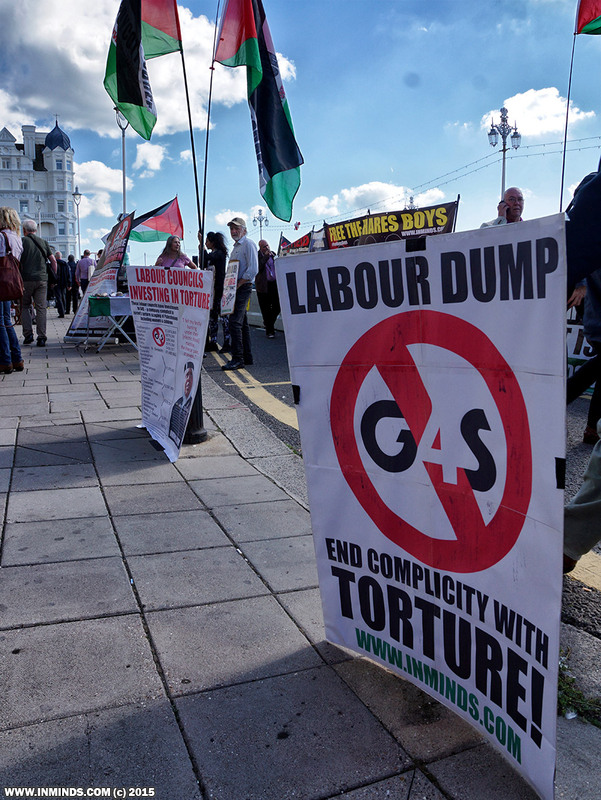 With recent changes in the leadership and membership of the party we are confident that given encouragement (and a push) the party could finally end its shameful partnership with G4S. 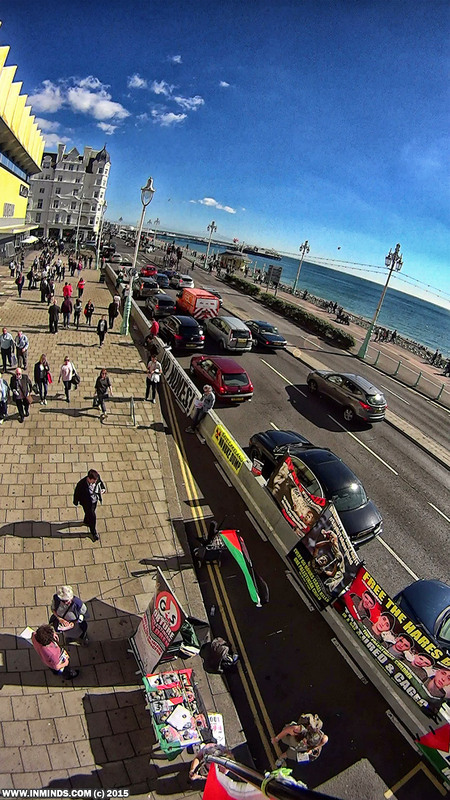 We had half a dozen Palestinian flags flying including a couple of giant Palestinian flags hoisted up a 9m flag pole which was visible all the way along the beach. 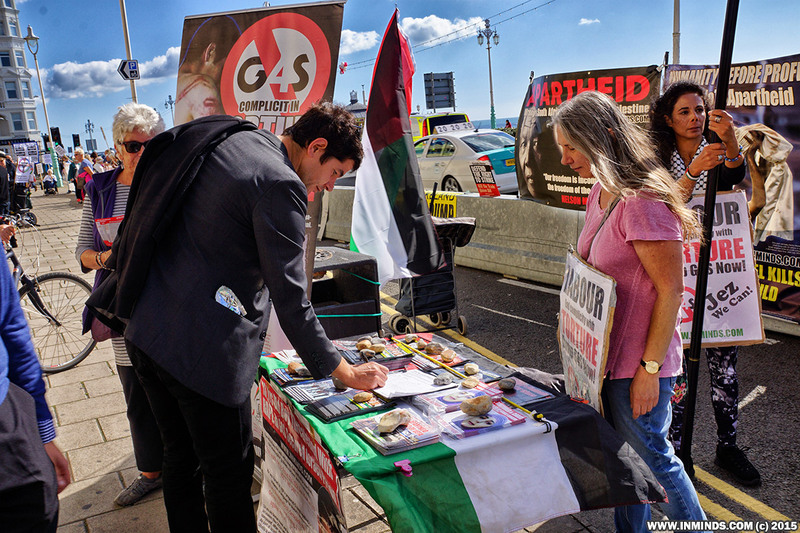 We had Palestinian music playing through the PA system, and set up a table for our leaflets on G4S and other aspects of the Palestinian struggle for justice and freedom, and a petition from our friends in BHPSC asking the Labour Party to end contracts with G4S. 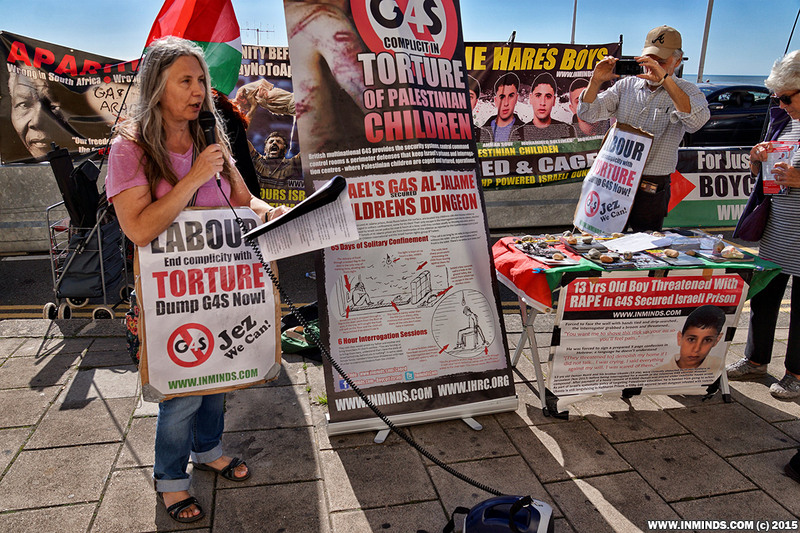 Messages were read out from the parents of two children who were tortured at Israel's G4S secured Al-Jalame interrogation centre and who are currently caged at Israel's G4S secured Megiddo prison, and also a message from the father of a 15 years old schoolboy who was abducted and caged at Israel's G4S secured Ofer prison on the West Bank. The messages received very warm applauses and people can up to us afterwards to give their personal condolence of what had happened to the children and their families. Some insisted on giving money even though we explained that we weren't set up to collect donations during protests - that money we passed on to MAP (Medical Aid for Palestinians). 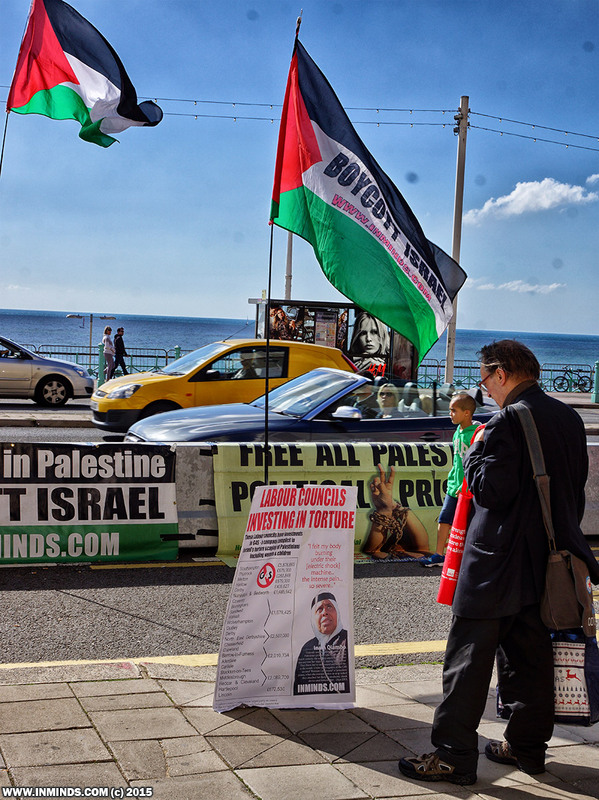 A 2m banner was placed at the G4S guarded entrance of the conference so that every delegate going through the G4S checkpoint to enter the Labour Conference was reminded of G4S's complicity in Israel's torture to death of Palestinian father Arafat Jaradat. 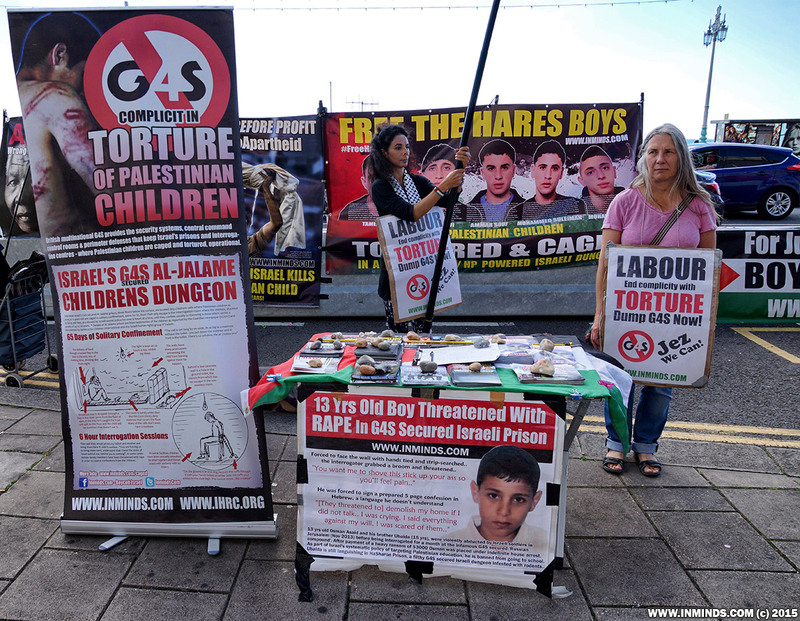 The primary purpose of the protest was to educate Labour delegates of the suffering of ordinary Palestinians, including children as young as 12 years old, being abducted, tortured and caged by Israeli occupation forces and the complicity of a British company - G4S in these crimes. 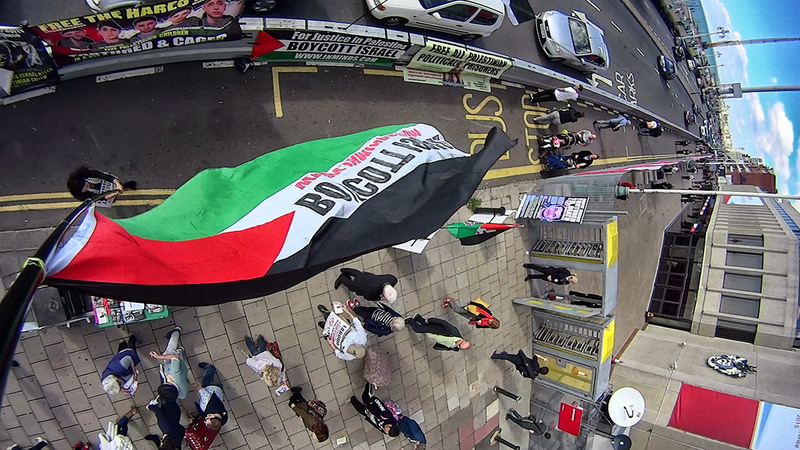 Martin Luther King Jr. once said 'The arc of the moral universe is long, but it bends towards justice' - we wanted to show the delegates that it was within their grasp to help bend that arc towards justice by asking their party to end its contracts with G4S. 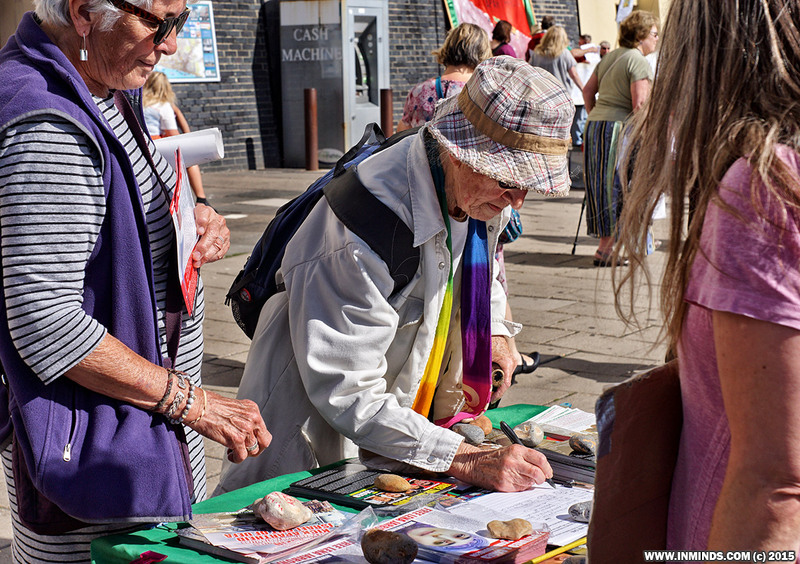 The response from delegates was one of overwhelming support. 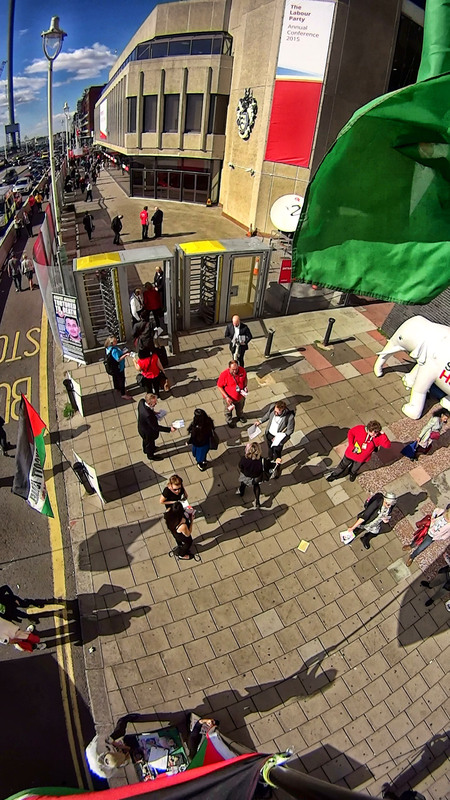 Unionists, councillors, MEPs, MPs all stopped by to show their support and we are confident that changes will happen. *Special thanks to Addameer Prisoners Support & Human Rights Association ( http://www.addameer.org ) for the raw statistics on Palestinian political prisoners. 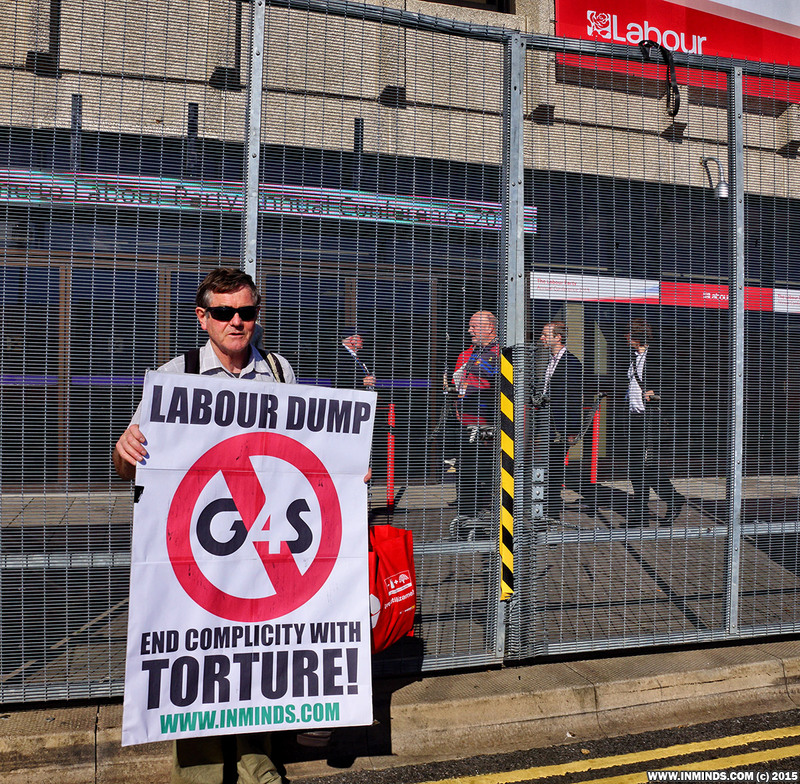 VIDEO - Labour Dump G4S Now! 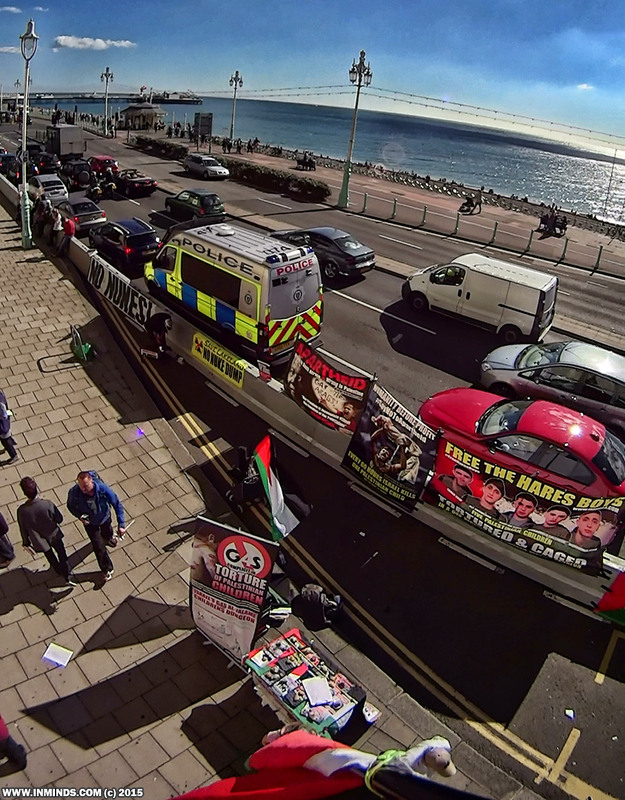 We are here today outside the Brighton Centre where the Labour Party Conference is being held to demand the Labour party stop its collusion with G4S, a company complicit in Israel's torture and caging of Palestinian prisoners including women and children. 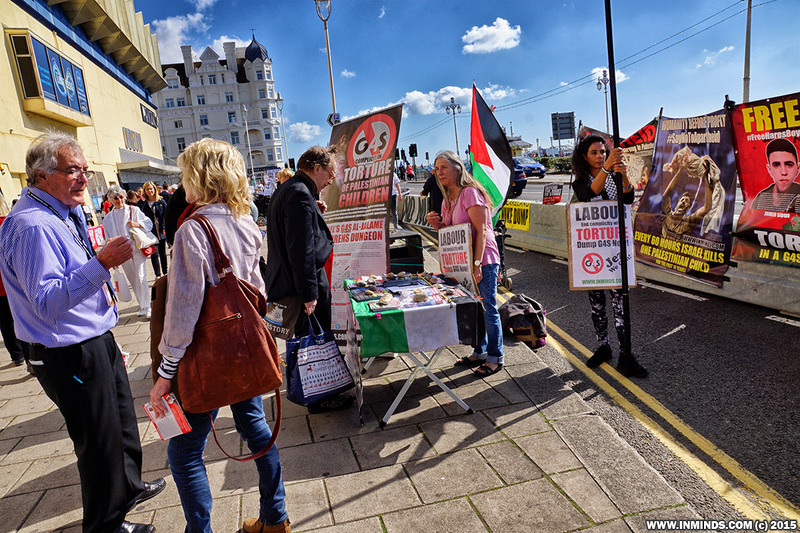 Every year, including this year, the Labour party contracts G4S to provide security for its annual conference. Why is this? 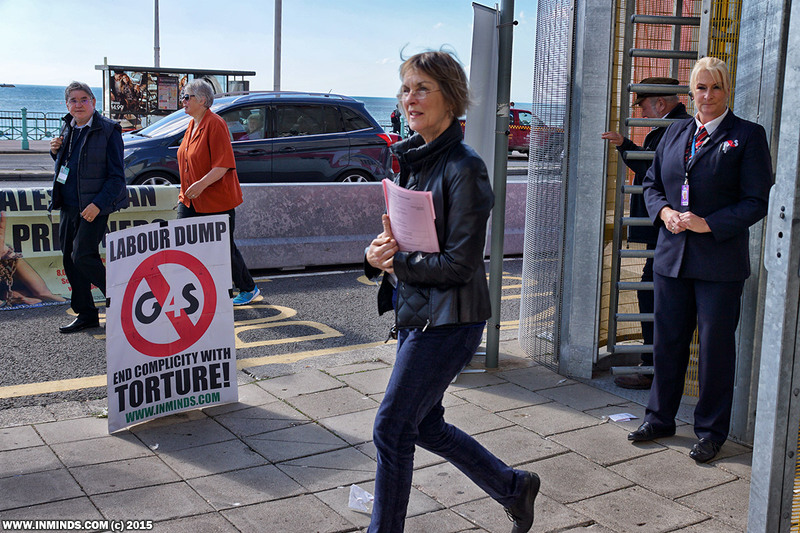 Many Labour MPs, including shadow cabinet members, and leading Trade Unionists have all called for G4S to be brought to task over its track record of human rights abuses. 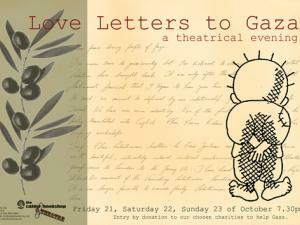 And yet again this year we see G4S handed the contract to secure this conference! This has got to stop now! 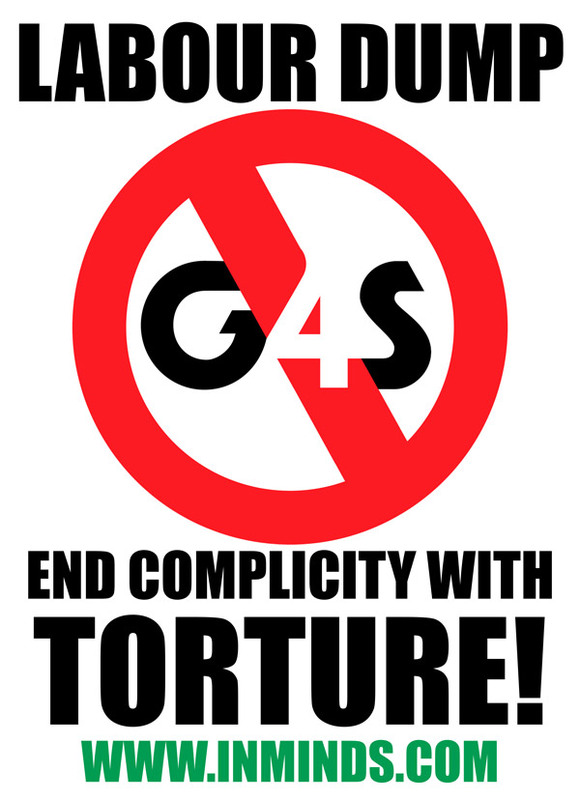 The British security firm G4S is the worlds largest private security contractor. 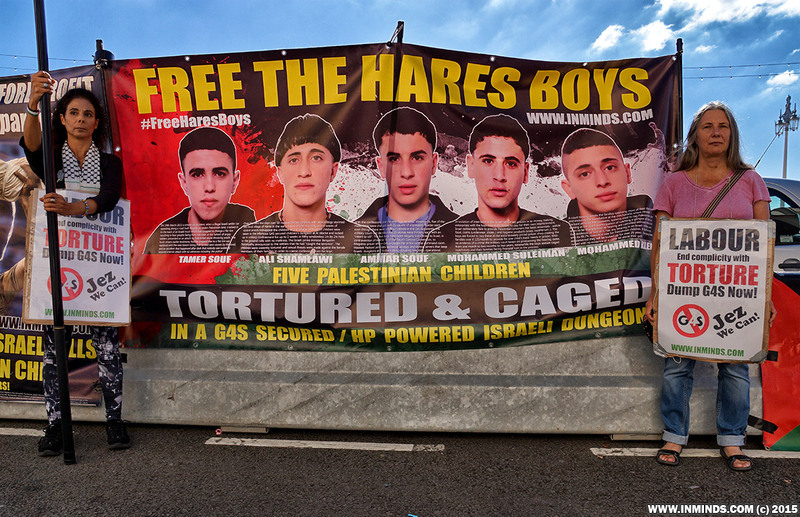 It has been contracted by the Israeli prison service to secure many of its prisons and interrogation centres where Palestinian political prisoners including women and children and caged and tortured. 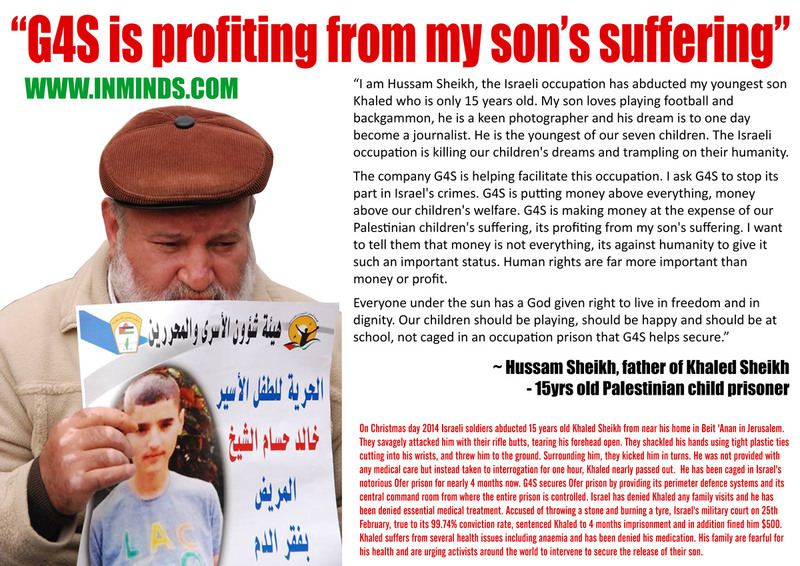 Figures for August 2015 show that 61% of all Palestinian political prisoners are caged in G4S secured prisons. This includes 98% of all administrative detainees. 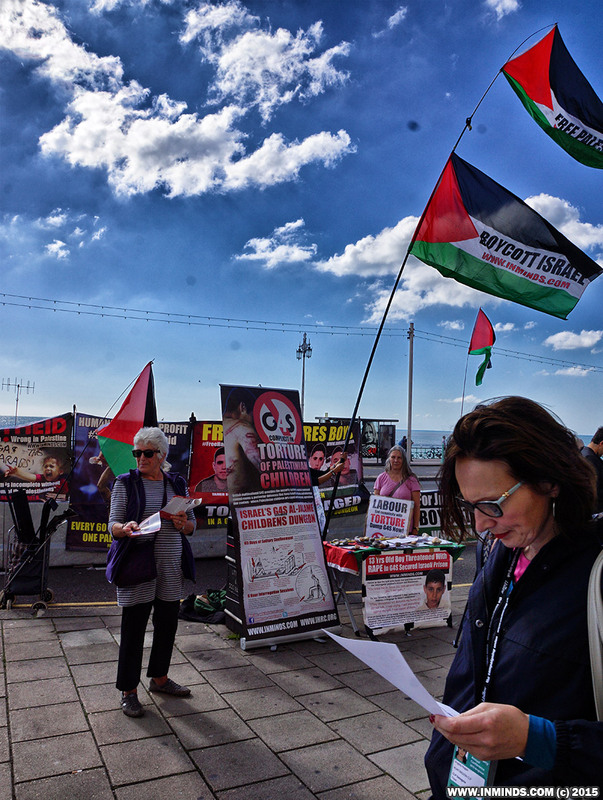 Administrative detention is a vile form of internment where Palestinians are caged indefinitely without charge or trial on never ending administrative detention orders month after month, year after year. 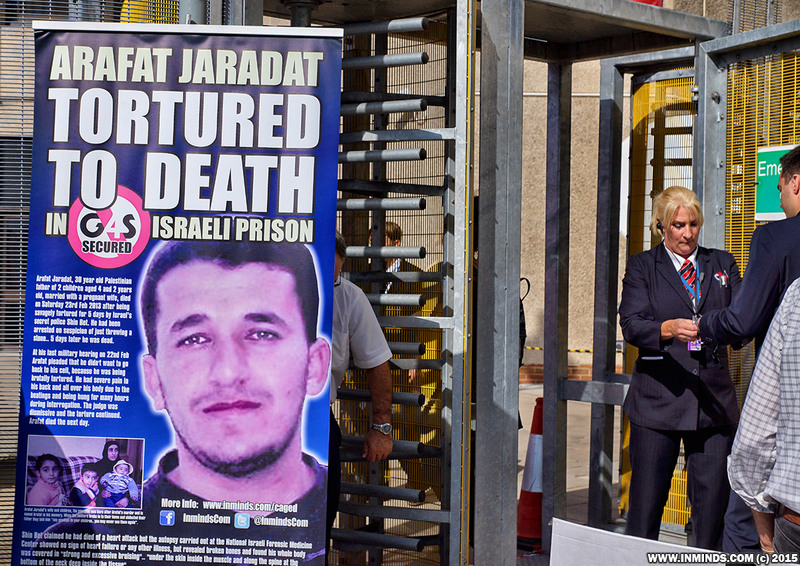 Israel's use of administrative detention - largely as a punitive measure - is illegal under international law. 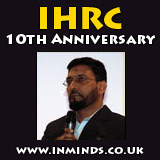 Prisoners are left on rolling detention orders which can be anything from 1-6 months, renewable indefinitely. So for example administrative detainee Mazen Natsheh has been locked up cumulatively for nearly 10 years without charge or trial. Detention orders are based on so called "secret information" which never needs to be produced, either to the detainee nor their lawyer. 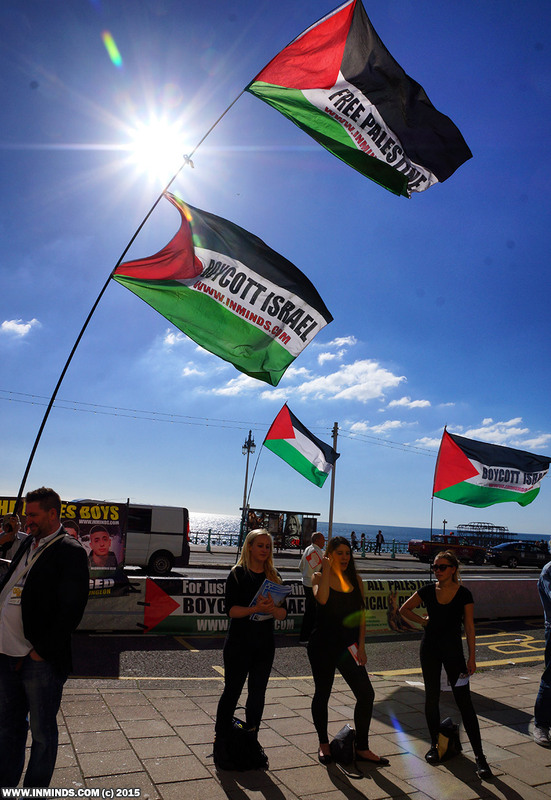 Administrative detention is often used to arbitrarily jail Palestinians where there is no evidence for a trial. 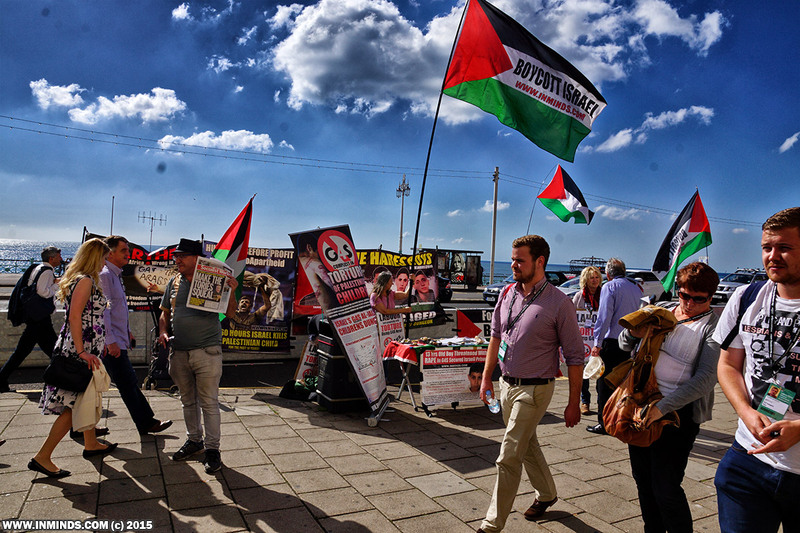 It is also used for punishment as in the case of Palestinian MPs who are often caged to punish them for their political stance. 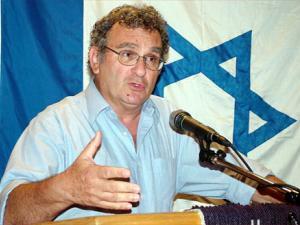 Israel has on average issued over 2000 detention orders every year (between 2007 and 2011). Today there are around 350 administrative detainees. Former hunger striker Khader Adnan was caged in total for over 6 years under 10 administrative detention orders without charge or trial. 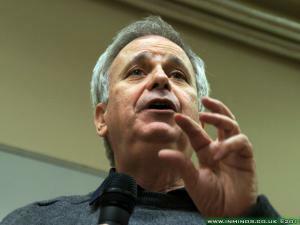 It was by going on hunger strike for 56 days, approaching death, that Israel eventually released him. And similarly today there are 16 Palestinian administrative detainees on hunger strike protesting administrative detention, fighting for their lives. One of them is a Palestinian journalist Nidal Abu Aker who has been imprisoned without charge or trial for over a year in Israel's G4S secured Ketziot prison. G4S provides the entire security system for Ketziot. 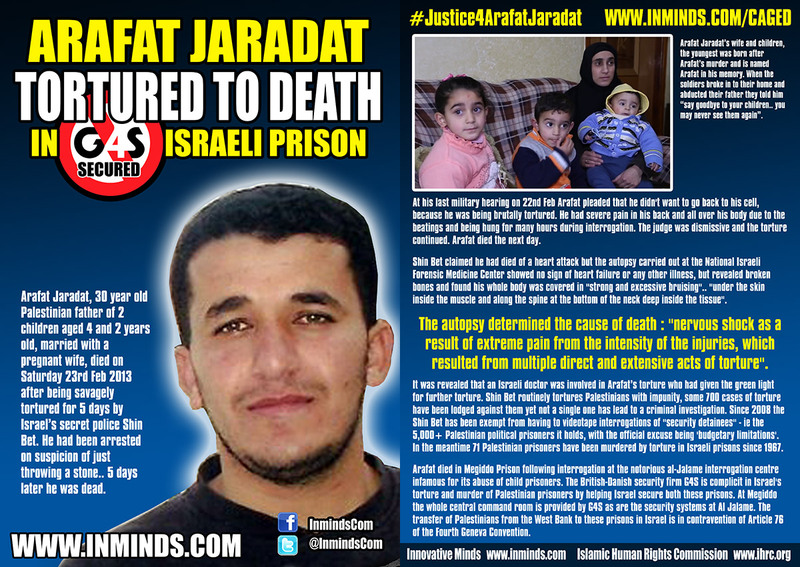 Nidal has been on hunger strike for 39 days today. For the last two days he has refused to drink water in protest at being transferred to solitary confinment as punishment for hunger striking. He writes "From inside my dark, dreary, small cell, that is very similar to a grave, where my bed touches the walls from both sides, I stress that this narrow cell will not narrow my will. My will is spacious and my spirits are high, drawn from the support of my family and our people, as well as the justice of our cause." 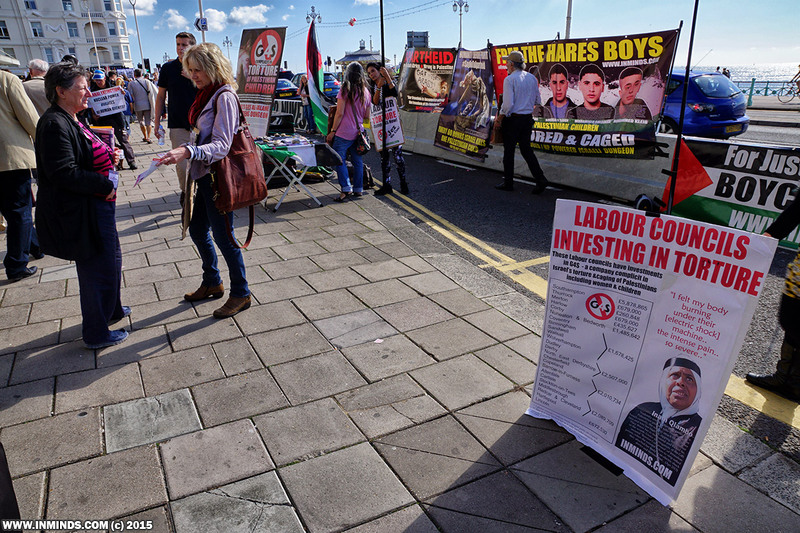 Why is the labour party in partnership with a company that facilitates internment of Palestinians by Israel? 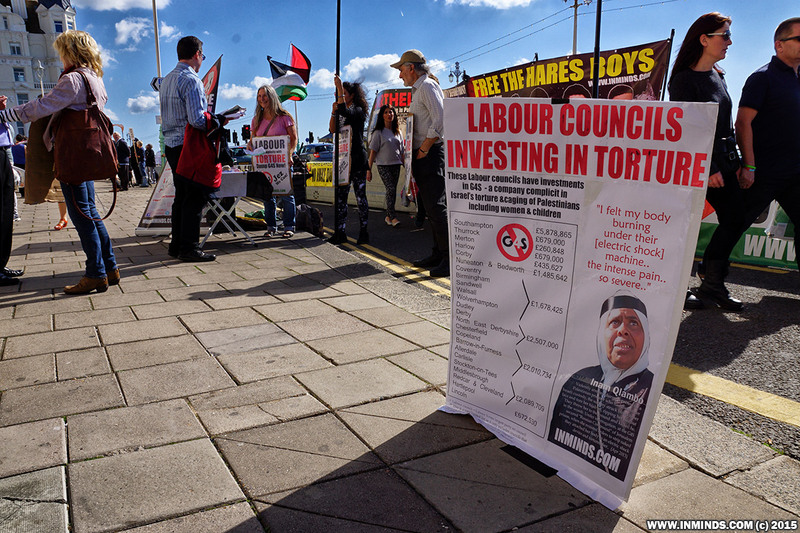 Why is the labour party in partnership with a company that breaks the Geneva convention? 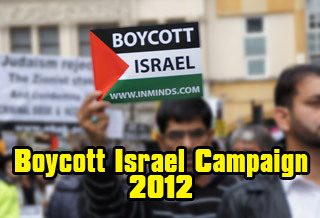 Shame on the labour party! 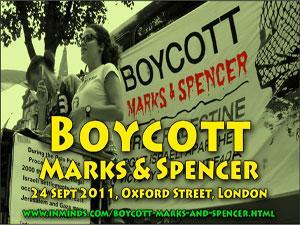 Listen to your conscience and dump G4S now! 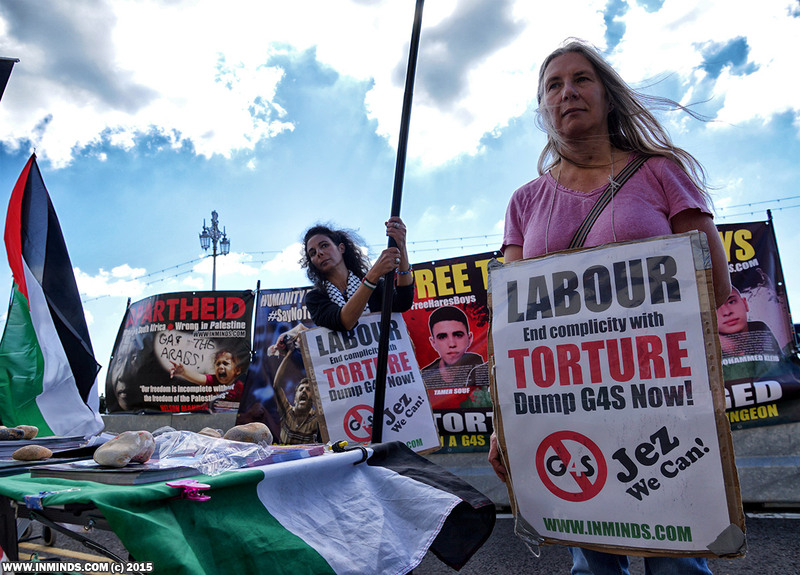 All of the Palestinian women prisoners are also caged in G4S secured prisons. 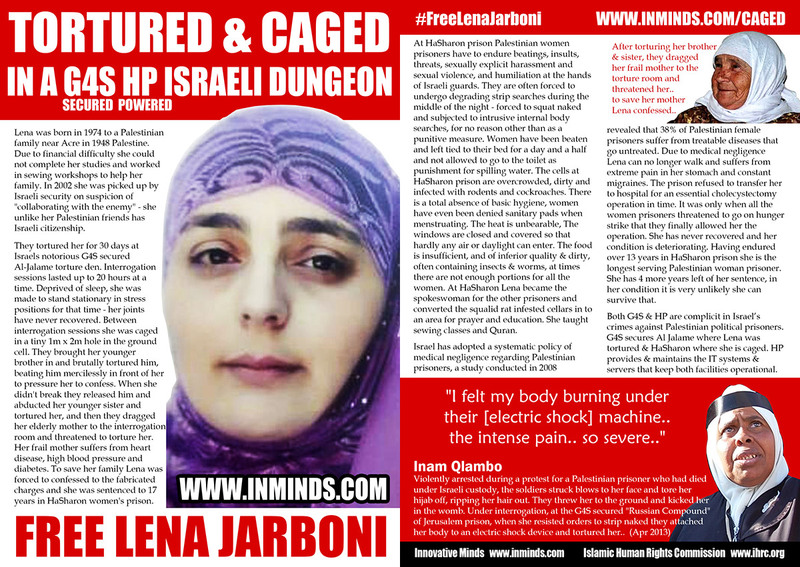 The longest serving Palestinian woman prisoner is Lena Jarboni. She has been caged for 13 and a half years in a G4S secured dungeon. 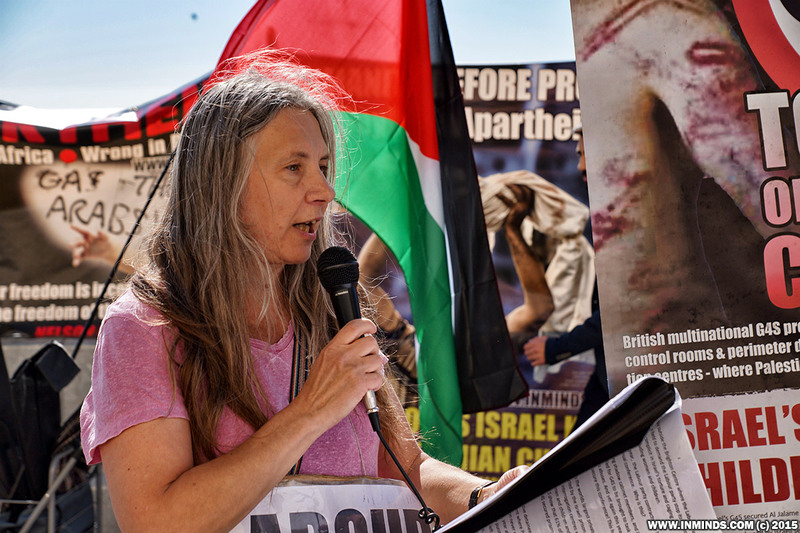 Having endured over 13 years in HaSharon prison she is the longest serving Palestinian woman prisoner. She has nearly 4 more years left of her sentence, in her condition it is very unlikely she can survive that. 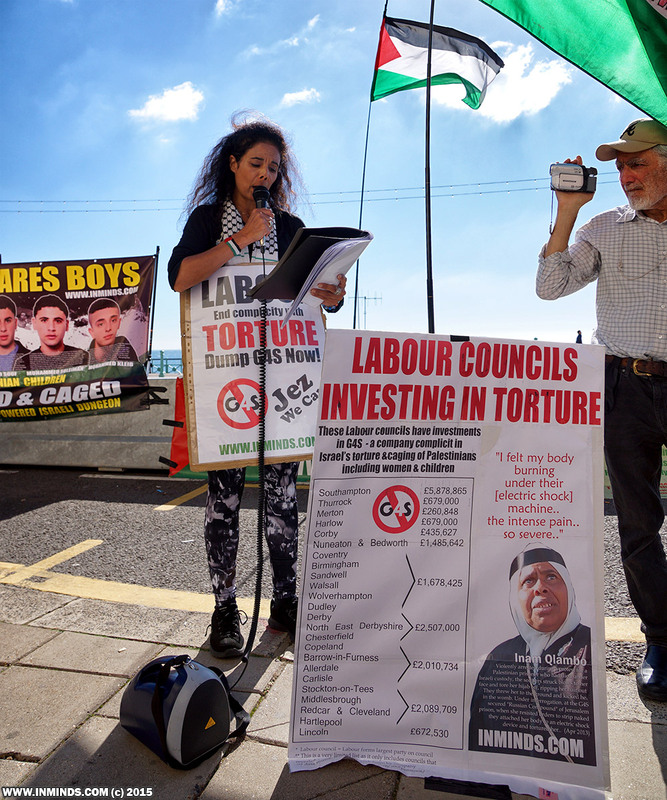 Why is the labour party in partnership with a company that cages women like Lena and is complicit in their torture? 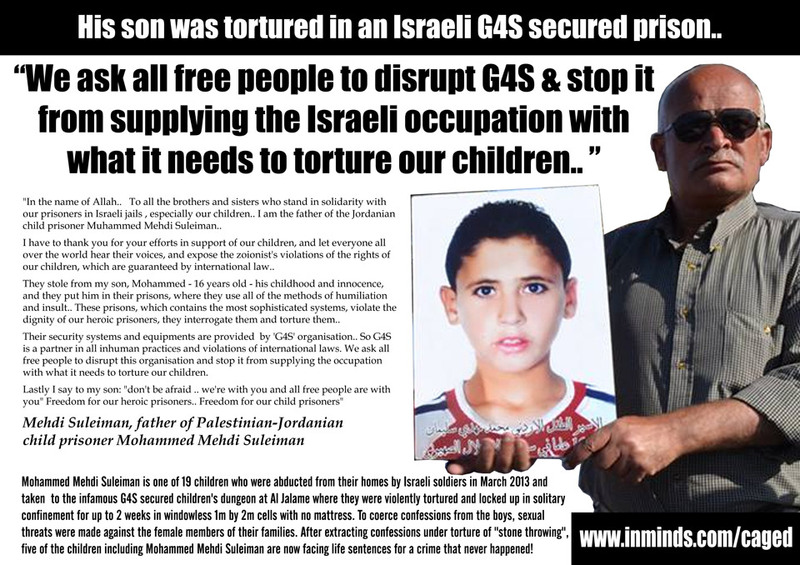 All Palestinian child prisoners are also caged in G4S secured Israeli prisons. 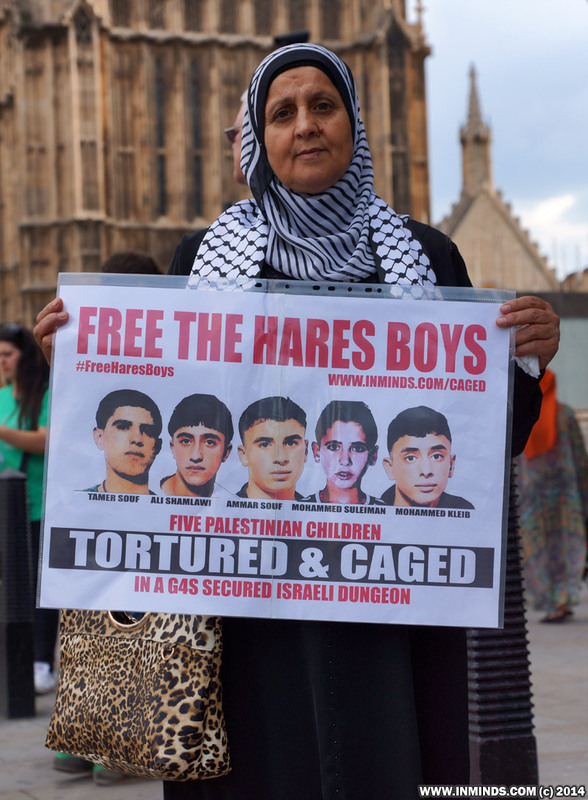 We want to highlight the case of five palestinian boys we have been campaigning for that were abducted, tortured and caged by Israel in a G4S secured dungeon for a crime that didn't even happen. 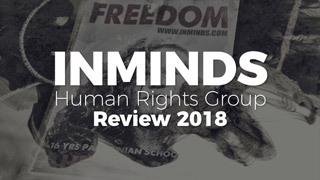 With no evidence of a crime the military court keeps on postponing the hearing dates from one month to one year to two years, meanwhile the boys remain caged indefinitely and their families facing financial ruin in the process. 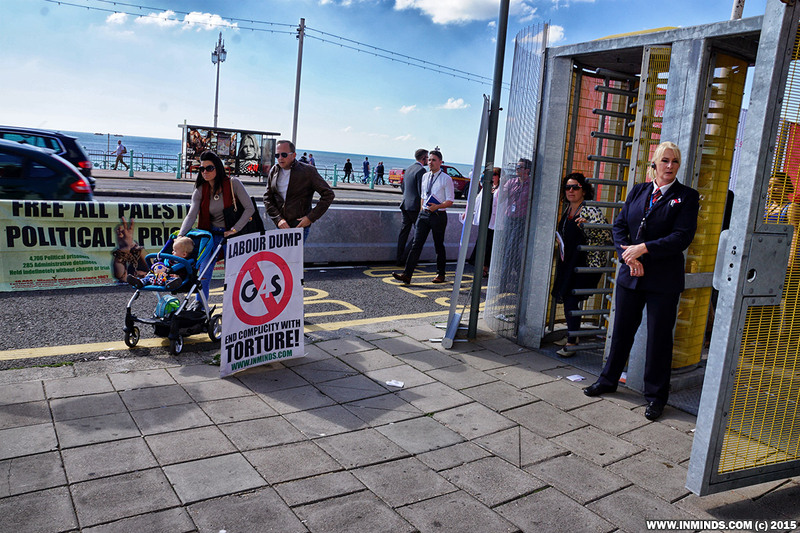 A court hearing entails the families having to spend most of their day queuing and enduring the humiliation at the checkpoints. Once past the checkpoints the families have to wait hours at the court in anticipation of catching a glimpse of their son. Often they are disappointed as hearing are cancelled without notice. 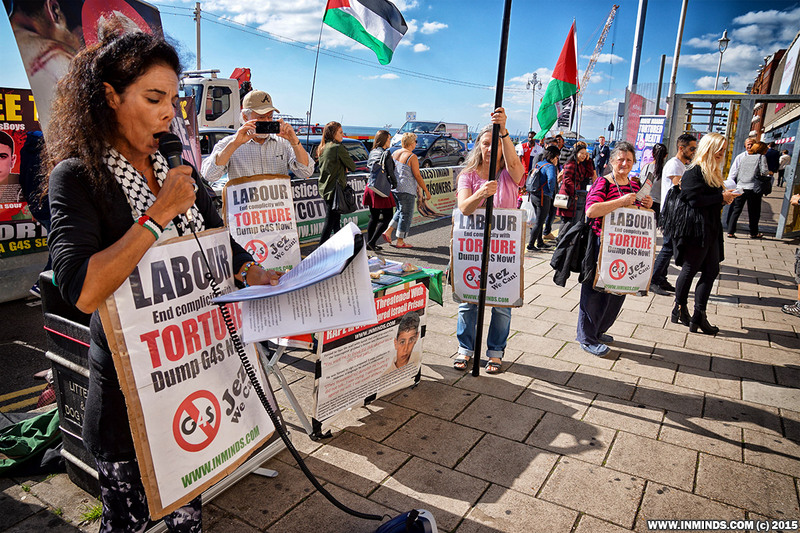 I have to thank you for your efforts in support of our children, and let everyone all over the world hear their voices, and expose the zoionist's violations of the rights of our children, which are guaranteed by international law..
Why is the labour party in partnership with a company that facilitates the torture of children? 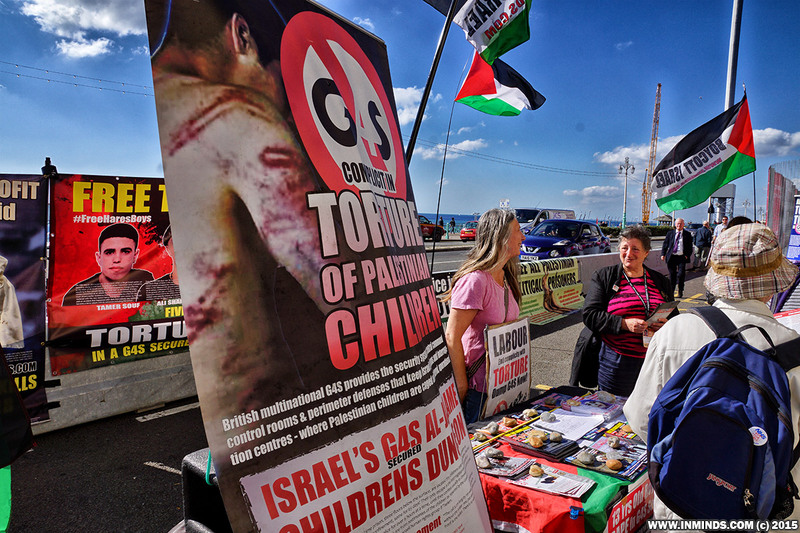 Why is the labour party in partnership with a company that facilitates such treatment of children? 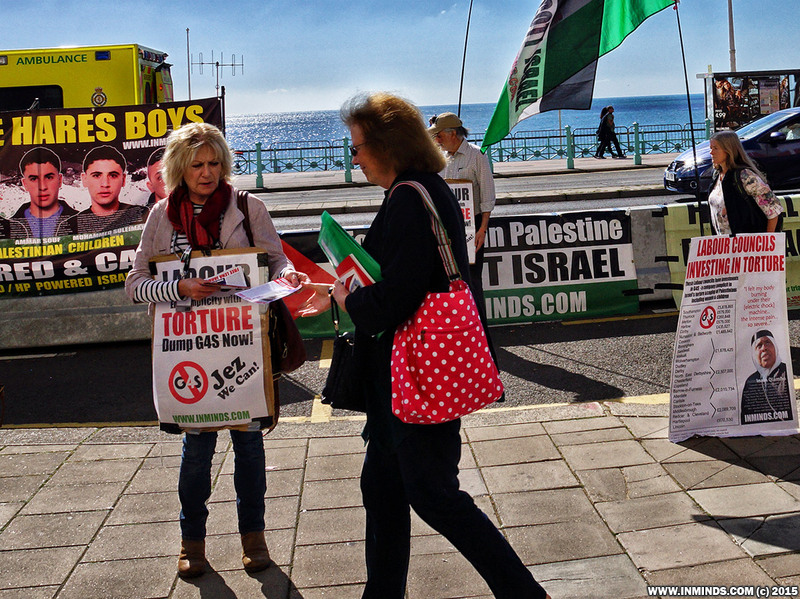 Why is the labour party in partnership with a company that is complicit in the murder of Palestinians through torture? We are here to demand change! We have a new leadership in the party and we have tens of thousands of new members. 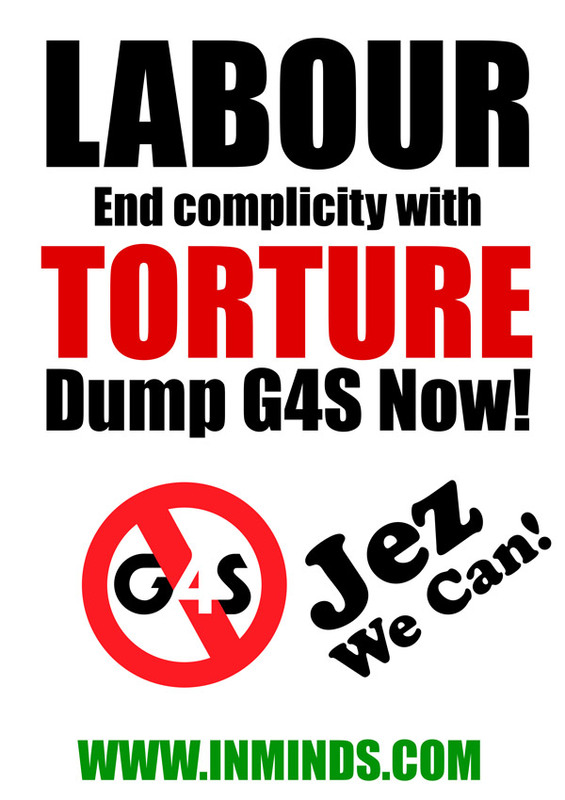 We now need new direction.. lets start today with cancelling G4S's contract with the labour party! And then tomorrow lets look at the millions of pounds Labour councils across the country are giving to G4S through investments in council pension funds. A little research has revealed the following list of guilty labour councils..and its not an exhaustive list as many councils do not reveal a company by company breakdown of their investments. 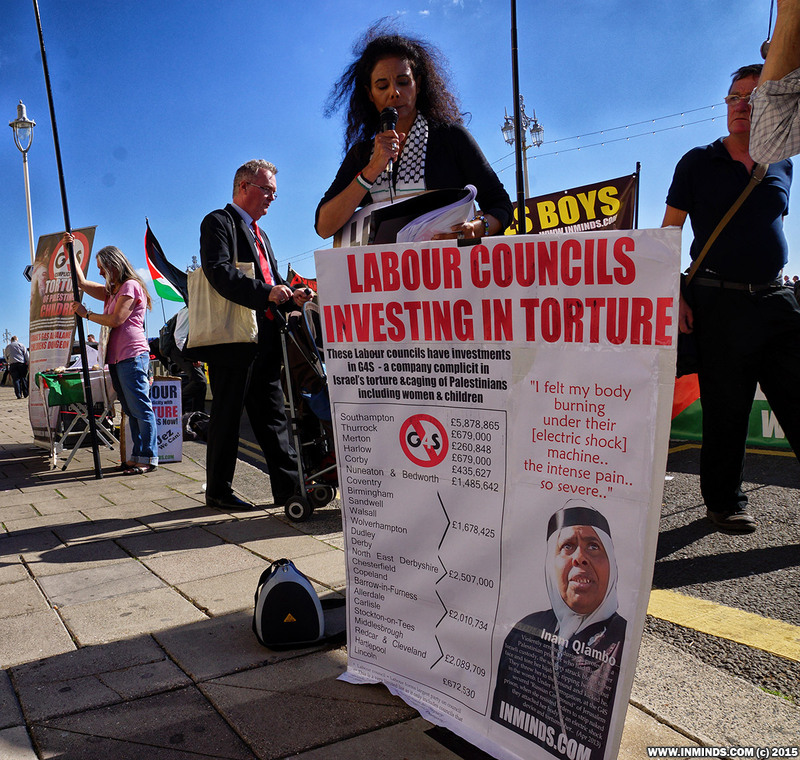 Why are Labour councils investing in torture? Shame on the labour party. 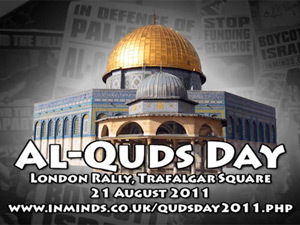 Stand on the right side of history and lets work towards justice!